One of the few dark-haired Helen of Troy. Was Irene miscast? Vanessa Redgrave is in the same film and would have made an excellent Helen. So this ends this week's overview of Helen of Troy representations in movies. 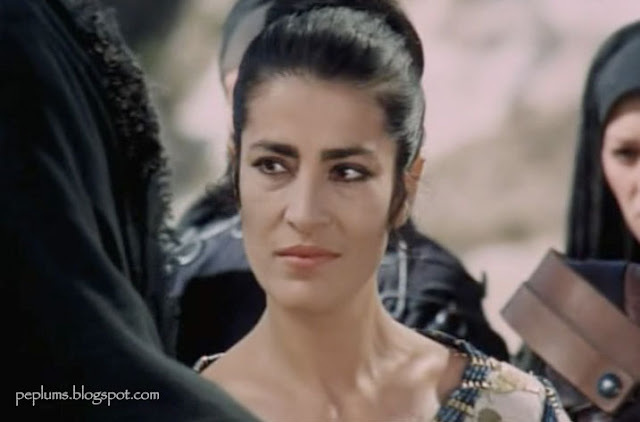 Papas also played Odysseus mother in the 1997 Armand Assante-starrer "The Odyssey".